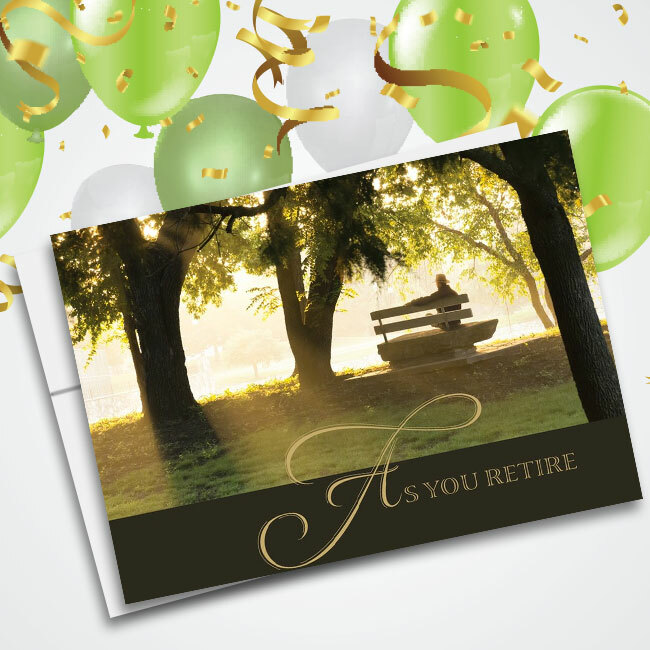 Give back to your local community with business and corporate Thanksgiving cards from Cards for Causes. 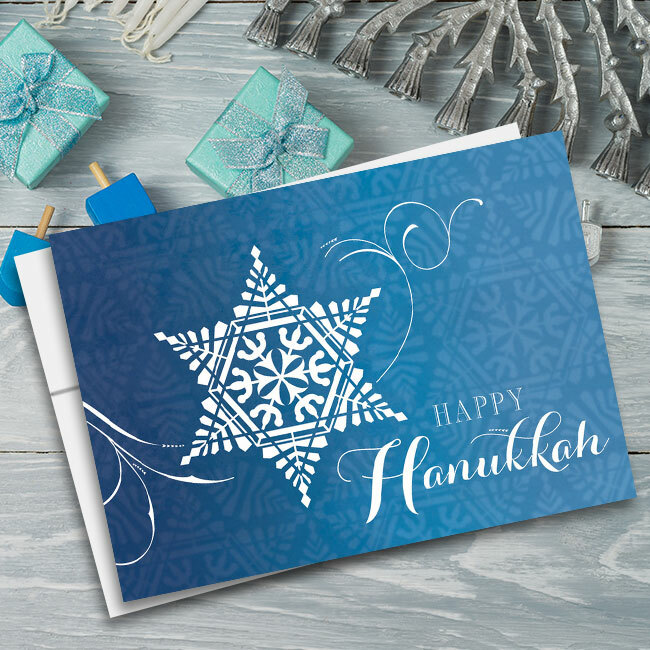 The fall holiday themed cards are made in beautiful tones of orange, yellow, brown and green that reflect the colors of the season. 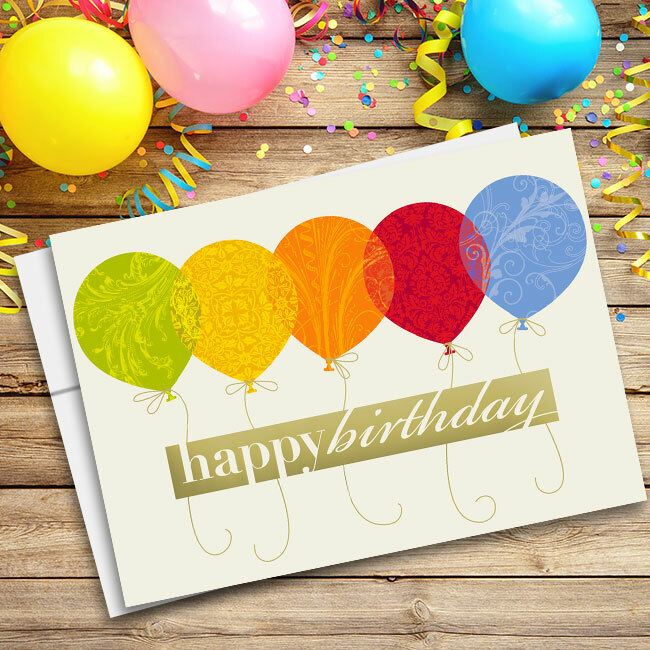 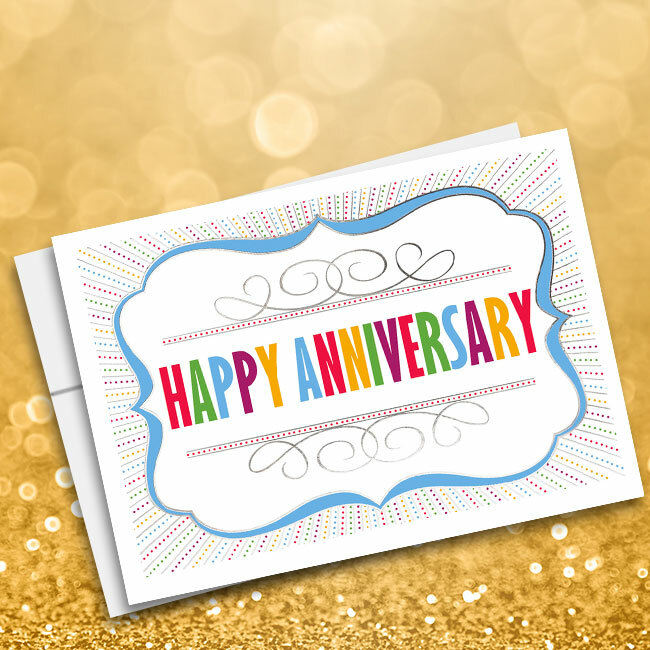 The interior of the beautiful greeting cards is customizable, so you can choose to have it printed with your businesses name and slogan if desired. 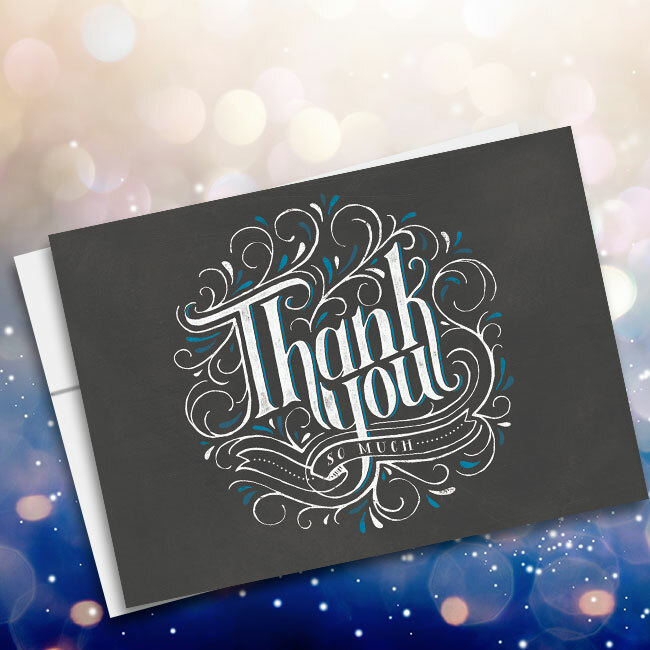 Thanksgiving is a religiously-neutral holiday making it the perfect choice for business and corporate acknowledgement. 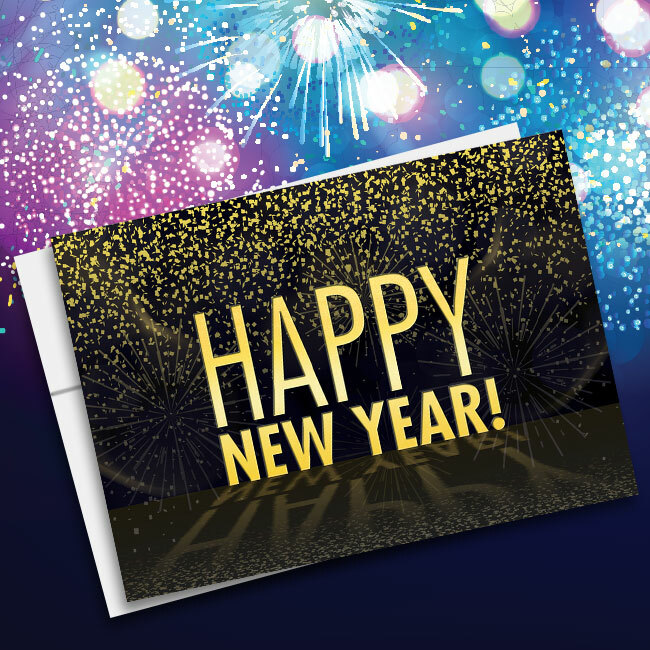 Send a beautiful card to associates and clients to let them know they are appreciated and that you look forward to working with them in the New Year. 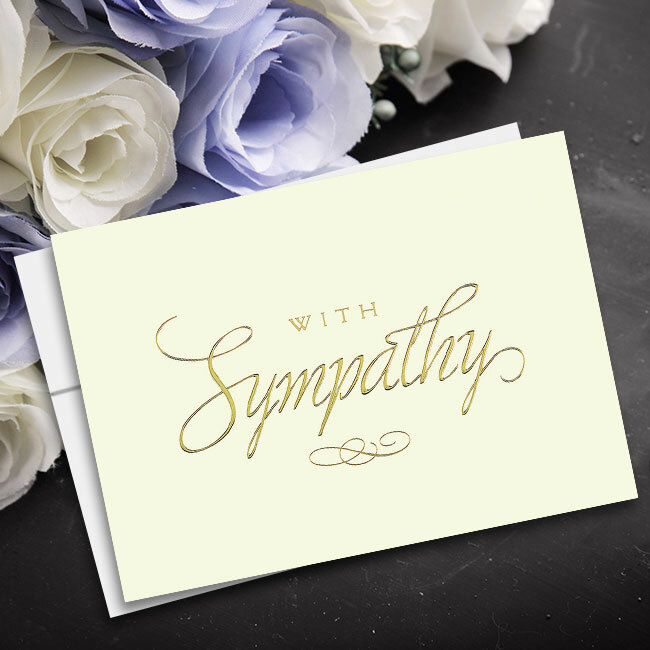 Greeting cards are a good way to maintain business relationships during the winter season. 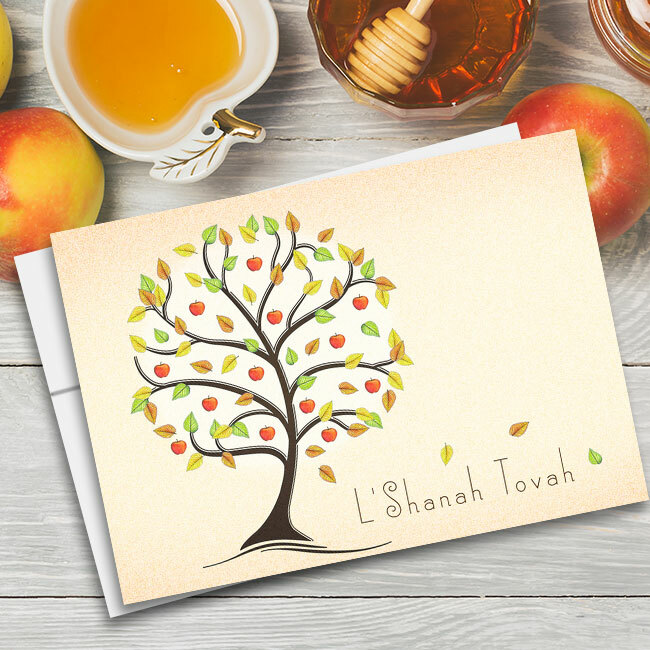 Our Thanksgiving cards may be customized with your choice of verse or your own custom text. 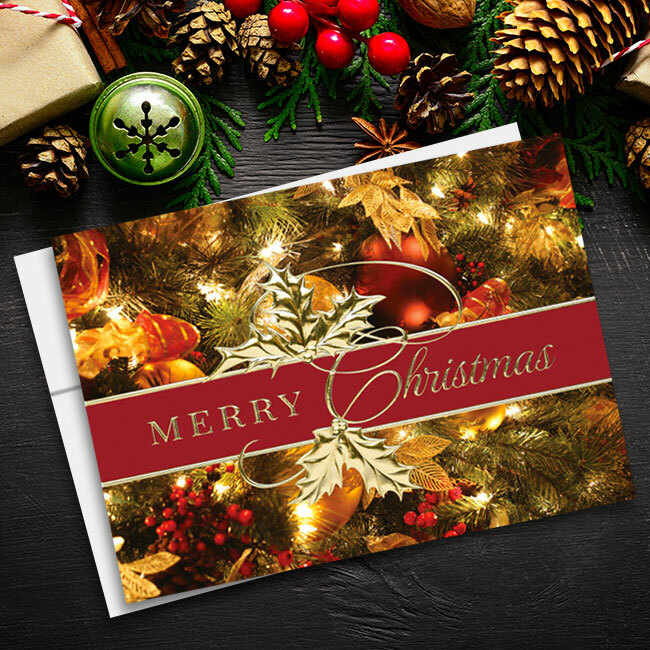 The envelope may also be customized with up to 4 lines of text and an upgrade to fast seal envelopes is available for a small additional charge. 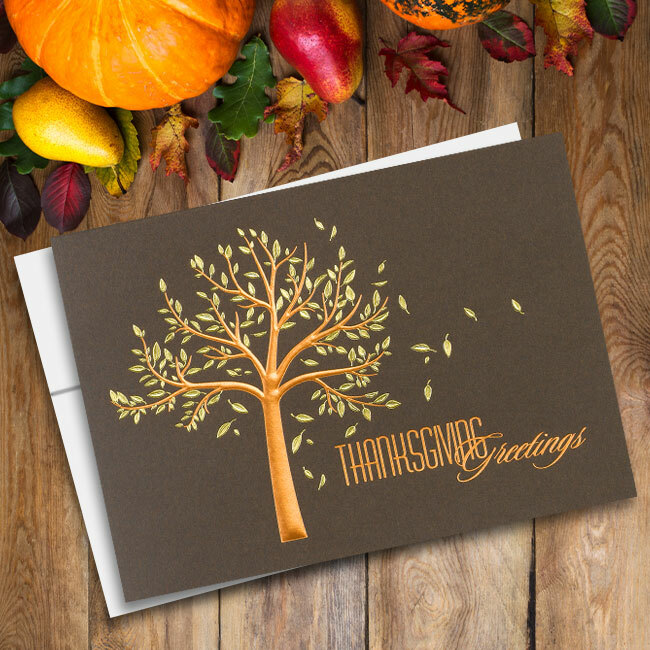 Order your corporate Thanksgiving cards today and support your favorite charity while taking care of business.